Tell us what numbers you want us to print? 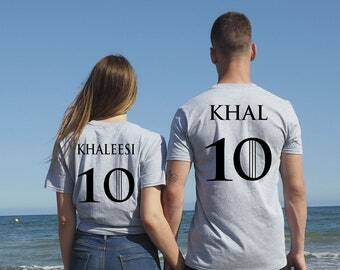 Original gift for Valentine's Day and Birthday gift, Khaleesi Khal Tshirt - Couple Shirt Khaleesi and Khal. 🔼 Available colours: white, gray and black. 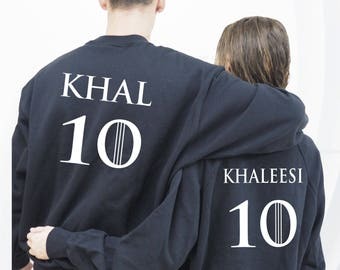 The ideal gift for couples of Game of Thrones fans. Valentine's day! 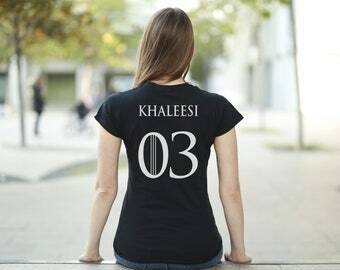 T-shirts KHALEESI and KHAL with the number you choose! Dear customer: ~~really important~~! 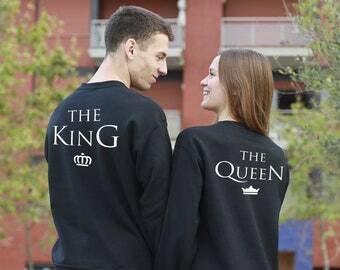 In case you don’t specify which number you would like to have in the tee, then it will automatically be a “10”. 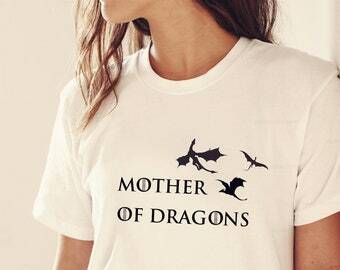 If you would like to have another one, then send us a message with the number when buying the tee. <<<--- IMPORTANT!! 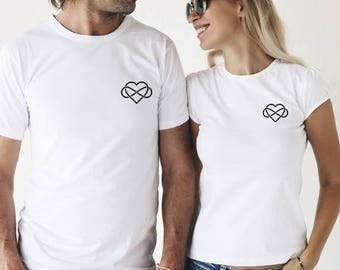 The type of tees are the basic unisex ones, for both women and men. 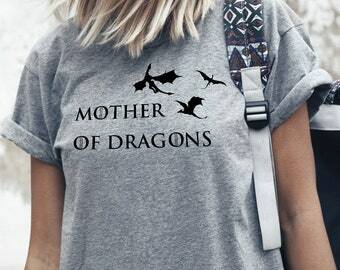 In case you would like to have a tight women tee, ask for it in a message when buying. I am iiiiin loooove with the product, I can tell that it was made with so much care. It’s everything they promised. I loved the handwritten note! Thank you so so much! 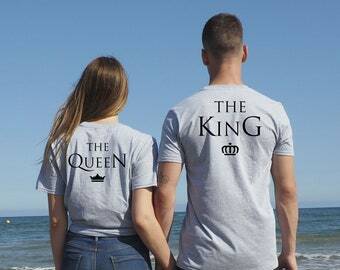 We love our t-shirts !